Pioneers to establish vineyards in the Elim Wine Ward. Wine producer, Dirk Human, is the owner, winemaker and viticulturist of the Black Oystercatcher boutique wines. 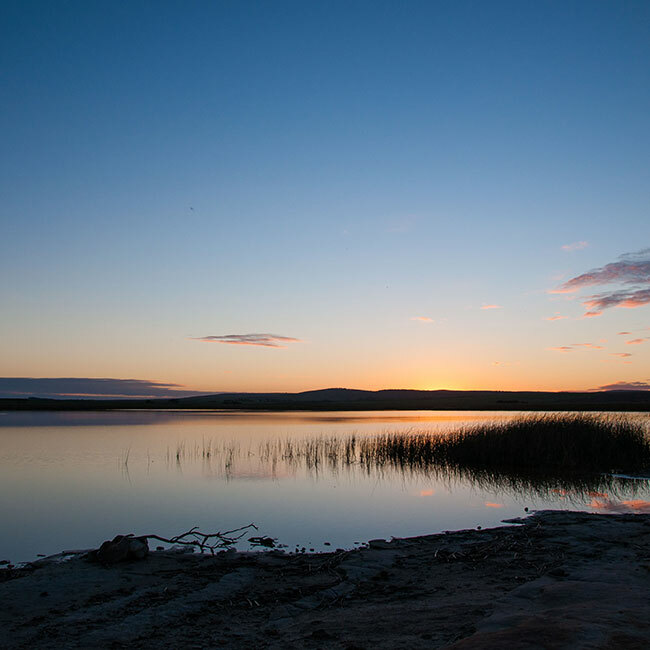 The Human Family has farmed successfully on the Moddervlei farm, where the Black Oyster catcher winery and restaurant are housed, for generations. The farm is situated between the small towns of Elim, Bredasdorp and Agulhas, in the Overberg region in South Africa. In 1998, Dirk and his family decided to live their dream – by planting vineyards on the property. 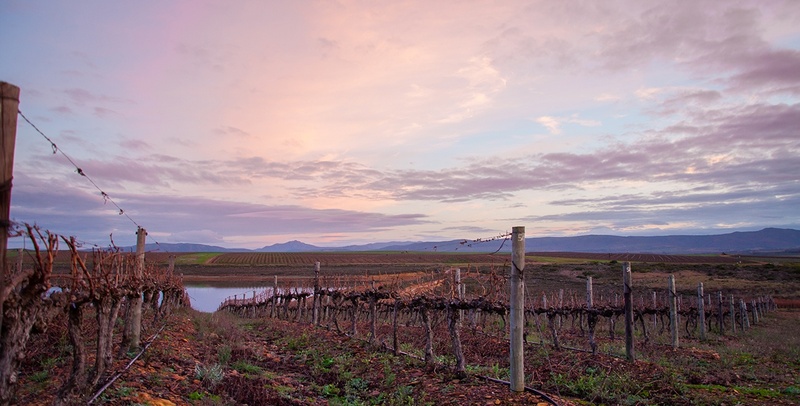 Dirk’s knowledge of the land with its sand plains, wetlands, extensive limestone and calcareous dunes enabled him to select the perfect location for the Black Oystercatcher’s vineyards. In so doing, Dirk became one of the pioneers to establish vineyards in the maritime ward of Elim in 1998. By 2003, the first boutique wines were bottled. Dirk named the new wines after the rare Black Oystercatcher birds, which, like the grapes, thrive along the coastline around the cool tip of Africa. Today, around 80 000 bottles of Black Oyster catcher boutique wines are produced a year – making the wines truly exclusive. It was time to extend the Black Oystercatcher wine range. So over the years, Dirk has added a host of reserve wines to the selection. Like the Reserve Sauvignon blanc, the Blanc Fumé, the Wild Ferment, the Noble Late and the Méthode Cap Classique – all only available at the Black Oystercatcher Tasting Room, or to Wine Club members. In 2008, Dirk again lived his dream, opening the Black Oystercatcher Restaurant. The restaurant follows Dirk’s own motto: to live by the season. And then in 2013, he added 4 self-catering cottages – so visitors could enjoy a time-out on a working wine farm. In 2014, Black Oystercatcher launched our new logo, to showcase the region’s unique geology and climate – in particular, the Agulhas Plain’s coastal shelf, formed more than 900 million years ago. 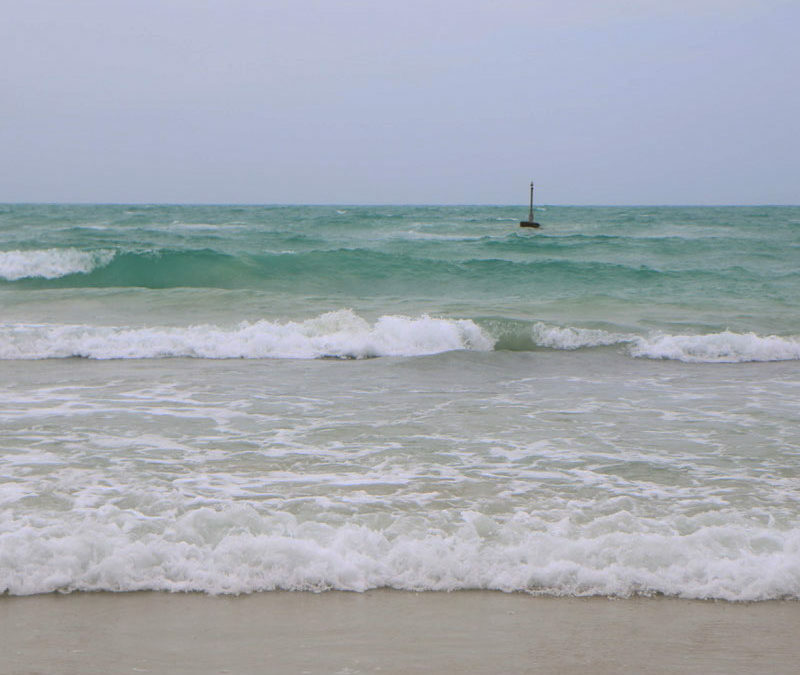 The Overberg – and the Black Oystercatcher in particular – became an increasingly popular destination for visitors. And Dirk loved showing the region he grew up in and loved to others. So he devised a new plan: to build a new, bigger restaurant – with even better views than before. The new venue was finished in 2016, with the former restaurant building now serving as the Tasting Room. But he wasn’t done just yet: Dirk has always enjoyed craft beer – in particular, Fraser’s Folly Craft Beer (based in Struisbaai). In 2016, talks with Fraser’s Folly founder, Fraser Crighton, started – to see how the Black Oystercatcher could team up with the craft brewery. The deal was signed later in 2016: with the Black Oystercatcher buying Fraser’s Folly. And the brewery moving to the Black Oystercatcher Wine Farm, and Fraser remaining as Brewmaster (and the face of the beer). To bring the world to his doorstep in the Elim wine ward, and show them the uniqueness of this southernmost wine-producing region. 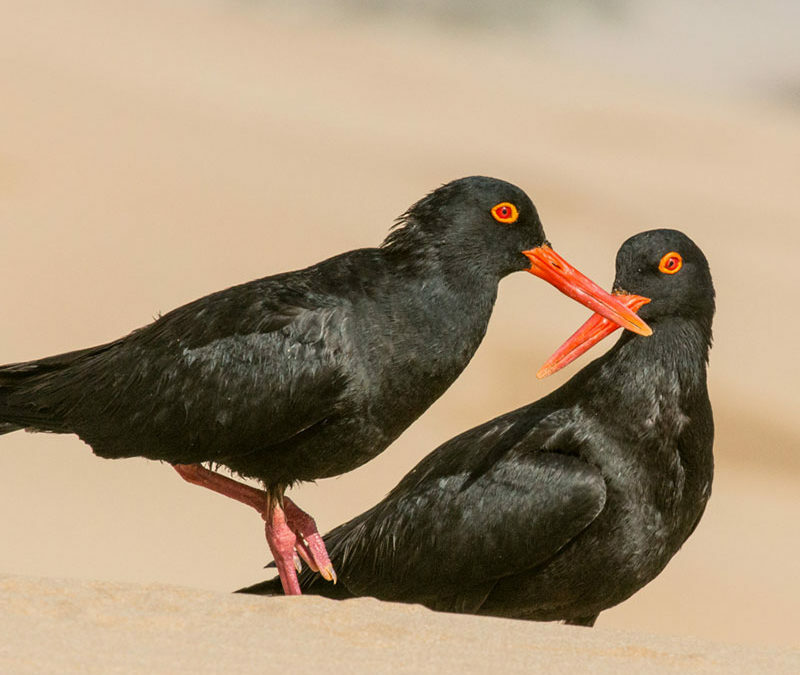 Lindy represents the Black Oystercatcher along the Garden Route, and lives in Port Elizabeth. She is originally from Graaff Reinet, and after school chose to study Hospitality Management. Her career includes a stint working at the Ritz Carlton in America, and also owning her own restaurant. However, for the past decade, Lindy has focused her efforts in the wine industry – joining the Black Oystercatcher in 2017 because of the “amazing wines” crafted at the cool tip of Africa. Email Lindy. Willem joined the Black Oystercatcher cellar team in 2012. He is a dedicated cellar worker and takes great pride in his work in the cellar. He is always eager to learn something new and he shows great interest in understanding why certain activities take place in the cellar. Once part of our vineyard team, Willem now oversees the day-to-day running of the cellar. He has completed his Cellar Worker Training Programme (SKOP) 3 course and we are very proud of his rapid growth. Candice is a true Overberger – having lived in the small missionary town of Elim her whole life. Now aged 27, Candice joined the Black Oystercatcher team in 2015. She is responsible for the delicious Black Oystercatcher platters, as well as the plating in the kitchen. Prior to this, Candice honed her skills in the kitchen at a restaurant in Napier, called The Suntouched Inn. She started her working career as a flower harvester, also in the Overberg. She’s now found the career for her, and loves working in the kitchen, making up the platters from scratch. 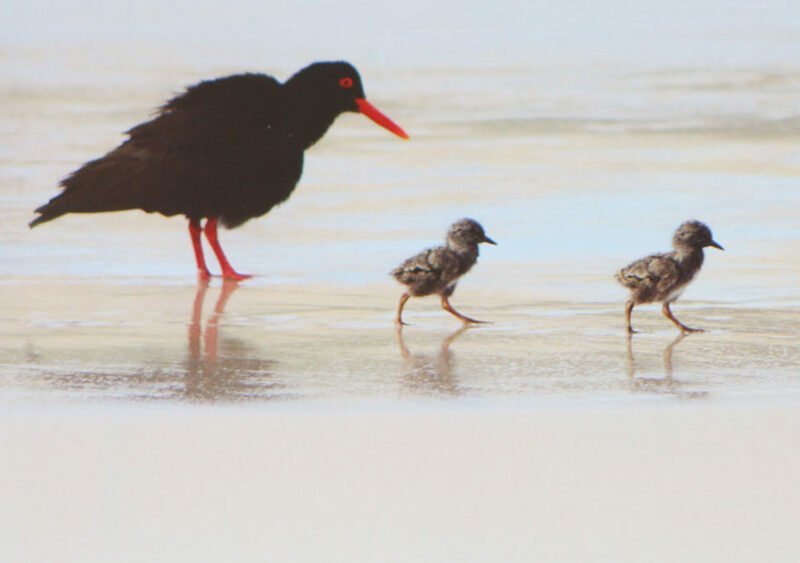 She continues to live in Elim (just down the road from the Black Oystercatcher), raising her two young children. Kanna has been part of the Black Oystercatcher since the very beginning. He helped plant the first Black Oystercatcher vineyards in 1998, and worked on Dirk’s farm, Moddervlei, as a foreman for many years. Today Kanna has his own business, called Strandveld Agri Landboudienste. He employs a team of 16 people, and looks after the Black Oystercatcher’s vineyards – maintaining them, picking grapes during harvest season and pruning during winter. Kanna’s dream is now to have his own vineyards, a process the Black Oystercatcher is actively supporting and pursuing. Ashley helps to keep the facilities and grounds neat and tidy – this is a vital job and we could not do without Ashley. It’s thanks to his green fingers that we have the freshest and most delicious vegetables and herbs growing in our country garden.